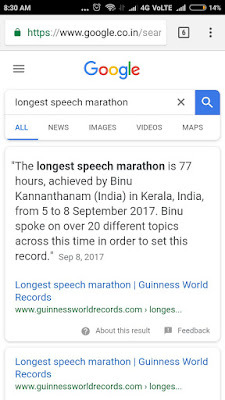 The Guinness World Records on Friday approved Binu Kannanthanam as the world record holder for the longest speech marathon. 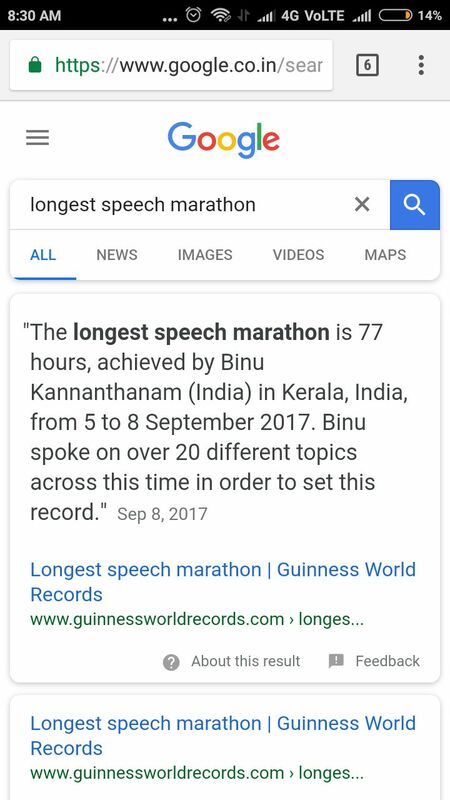 Binu Kannanthanam from Manimala, Kottayam in Kerala broke the existing record of Ashwin Sudani by speaking for 77 hours straight. The previous record was 75 hours and 32 minutes. The record attempt was made last September at Chaitanya Pastoral Centre, Kottayam. It got wide publicity in regional and national media. Many important personalities participated in the event. A team from TranspireOnline was present at the venue at all times. We congratulate Mr. Binu Kannanthanam for achieving this wonderful feat.